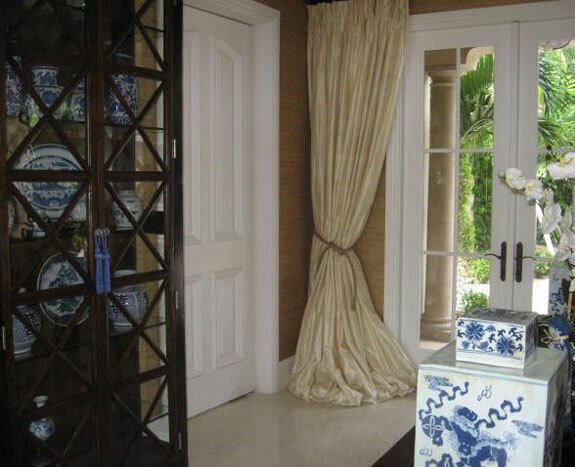 My objective in this Living Room on the ocean in Palm Beach was to mix and mingle elements in somewhat of a paradoxical manner to render a most relaxed yet elegant, classical yet contemporary, exotic Ambience. My vision was to interface the casual /raw with elegant / refined. The existing cold white marble floors directly contradicted the natural tropical warm environment that I wanted to project; I had to somehow make those floors seem to disappear.